Though the place is quite far, it’s definitely a must see. The water is cold and the availability of food in the area is thumbs up. We haven’t tried jumping off the falls but we saw a lot of tourists who enjoyed it. However, there is an additional fee if you want to jump. Head away from sea level and experience the great heights that Ceby has to offer in this day tour to Kawasan Waterfalls and Osmena Peak. 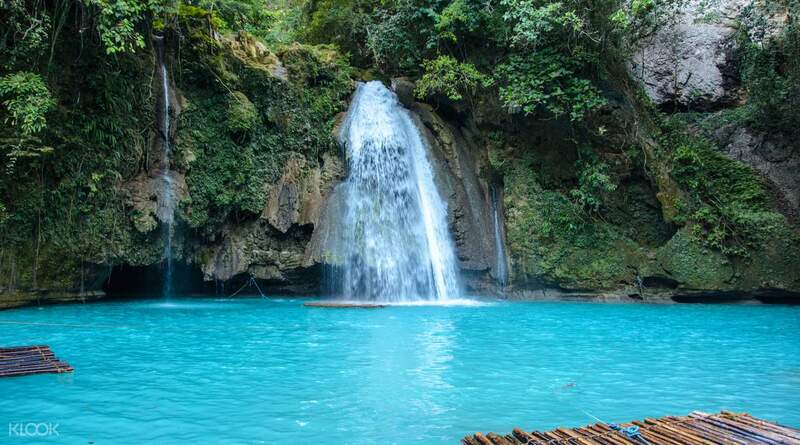 Departing from your hotel, you’ll arrive at Badian and be able to go swimming at Kawasan Falls, widely regarded as one of the most beautiful waterfalls in the Philippines, standing at 131 feet high and flowing into two basins. After you swim in the beautiful blue waters, you’ll get the chance to get changed and prepare for a hike headed up to Osmena Peak. 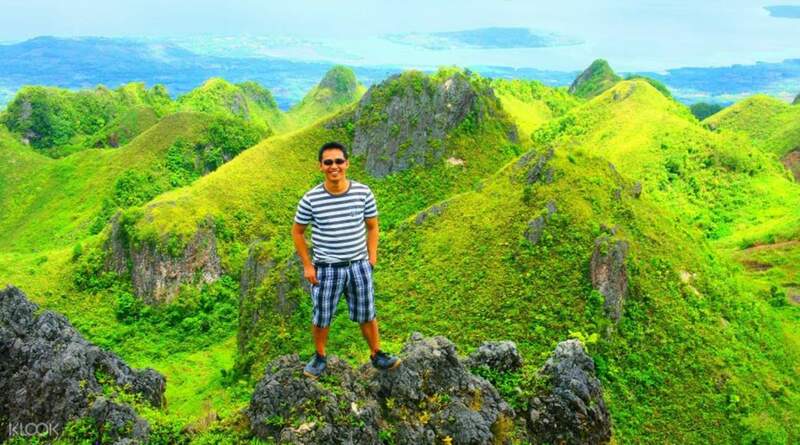 This is the highest peak within Cebu, with an elevation of around 1,000 meters from sea level. 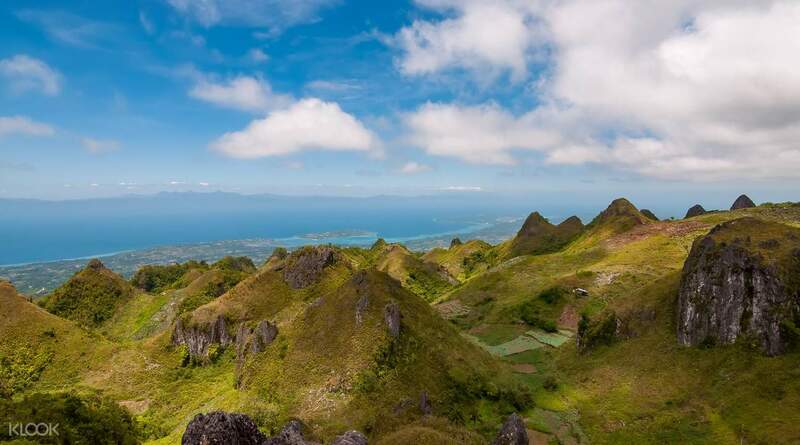 Part of the Mantalongon mountain range, you will be able to get an unbelievably breathtaking 360-degree view of the entire island, and certainly a moment you’ll affix to memory. 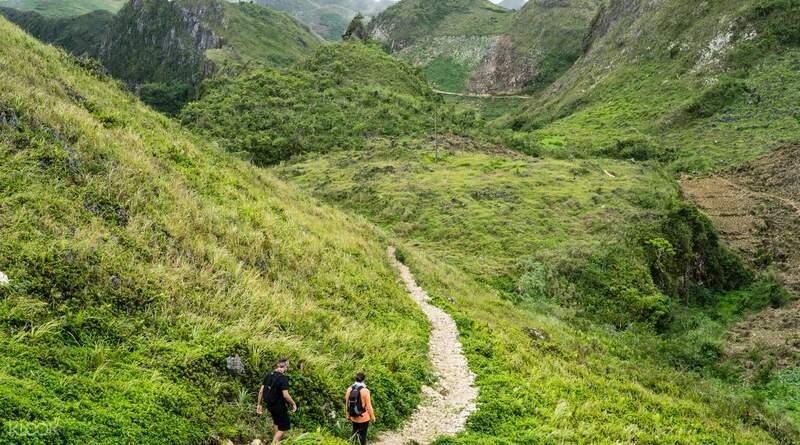 Head up to the heights of Osmena Peak! Best budget all in one tour for the group!! Guide was very kind enough to be ahead of time which makes it a bit more easier! Ride was comfortable and easy. Best budget all in one tour for the group!! Guide was very kind enough to be ahead of time which makes it a bit more easier! Ride was comfortable and easy. Although it was a long ride (around 7hours total (to and fro)), the drivers and guides made the journey enjoyable and we felt safe during the activities. Osmena peak and Kawasan waterfalls are definitely two hidden gems of nature. Although it was a long ride (around 7hours total (to and fro)), the drivers and guides made the journey enjoyable and we felt safe during the activities. Osmena peak and Kawasan waterfalls are definitely two hidden gems of nature. Though the place is quite far, it’s definitely a must see. The water is cold and the availability of food in the area is thumbs up. We haven’t tried jumping off the falls but we saw a lot of tourists who enjoyed it. However, there is an additional fee if you want to jump. Though the place is quite far, it’s definitely a must see. The water is cold and the availability of food in the area is thumbs up. We haven’t tried jumping off the falls but we saw a lot of tourists who enjoyed it. However, there is an additional fee if you want to jump. Kawasan falls was beautiful and breathtaking. After getting out of the car, which took about 3 hours to get there, we were greeted by our tour guide. You have the opportunity to change there at the tour guide office, in private changing rooms, and shower after your excursion to the falls. The wall is about 15 minutes to the lower water fall and you see rapids along the way. When you see the first waterfall, it is breathtaking! Then it’s aboit another 10 minutes to the upper waterfall. The water is cool, espicaiy after you break a sweat hiking to the falls. After about 2 hours of swimming the trek back to the tour guide office/hut is wonderful too. Once at the office, you have another opportunity to shower and change before the Osmena Park departure. It’s takes about 1.5 hours to get there. The top of the mountain is wonderful, and you can see the whole island. The only problem we had, is you’re in a car for a long time. Kawasan falls was beautiful and breathtaking. After getting out of the car, which took about 3 hours to get there, we were greeted by our tour guide. You have the opportunity to change there at the tour guide office, in private changing rooms, and shower after your excursion to the falls. The wall is about 15 minutes to the lower water fall and you see rapids along the way. When you see the first waterfall, it is breathtaking! Then it’s aboit another 10 minutes to the upper waterfall. The water is cool, espicaiy after you break a sweat hiking to the falls. After about 2 hours of swimming the trek back to the tour guide office/hut is wonderful too. Once at the office, you have another opportunity to shower and change before the Osmena Park departure. It’s takes about 1.5 hours to get there. The top of the mountain is wonderful, and you can see the whole island. The only problem we had, is you’re in a car for a long time. As others have already written, it is a long journey by car, but there is plenty to see as you drive along. Our driver was on time and we had plenty of time to swim at Kawasan Falls and were not rushed at all. It is a pleasant 10-15 minute walk to the Falls after parking the car. Local restaurant by the footbridge crossing the river to and from Falls served good food. The views from Osmena Peak were excellent as were the views on the drive from the Falls to the Peak, which took about an hour. Once you pass through the entrance to the Park, it is quite a steep climb along the pathway to the top and again takes about 10-15 minutes without stopping and depending on your fitness. If you are not reasonably fit, or unable to walk unaided, you should not do this activity. Otherwise, a highly enjoyable and recommended day out. As others have already written, it is a long journey by car, but there is plenty to see as you drive along. Our driver was on time and we had plenty of time to swim at Kawasan Falls and were not rushed at all. It is a pleasant 10-15 minute walk to the Falls after parking the car. Local restaurant by the footbridge crossing the river to and from Falls served good food. The views from Osmena Peak were excellent as were the views on the drive from the Falls to the Peak, which took about an hour. Once you pass through the entrance to the Park, it is quite a steep climb along the pathway to the top and again takes about 10-15 minutes without stopping and depending on your fitness. If you are not reasonably fit, or unable to walk unaided, you should not do this activity. Otherwise, a highly enjoyable and recommended day out. A great day, the guides were great and very kind. We had a good time and enjoyed beautiful scenery. A great day, the guides were great and very kind. We had a good time and enjoyed beautiful scenery.